Here’s some visual splendor chock full of the insta-greatness we have all been waiting for. The following photos were taken between 8/7 and 8/12. Last night I woke up to find water dripping on my face. I got up and realized I was in a blanket of thick fog. Confused, as I haven’t seen rain or fog since the southern desert, funny enough. I crawled out of my tent to put on the rain fly, probably waking my sleeping neighbours. I fell back into a deep sleep listening to the water droplets on the roof of my tent, waking up later than I thought still wrapped tightly in the blanket of mist. All morning I walked through damp forest and was reminded of home, missing it so deeply. Anytime it’s rains, I always get homesick. Do any of you feel this way too? This series is making me want to go out and find some backpacking spots in Australia! Any suggestions? 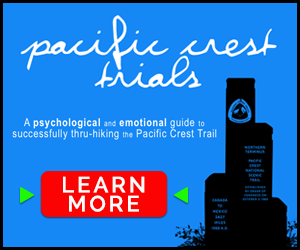 Don’t forget to follow us on instagram: PacificCrestTrials !